The first people I think of when candy and cards start hitting the aisles of every store isn’t some then-boyfriend or a long lost love. They’re my girlfriends who’ve stuck with me (and admittedly hated on a V-Day or two) along the way. And much like the great Carrie Bradshaw who insisted that “maybe our girlfriends are our soulmates,” I, too, love to celebrate my gals before getting wrapped up in the romance of the Hallmark holiday. Maybe you regularly schedule a Girls Night where you all head out for Friday happy hours or a once-a-month party night. But as we can all attest, once in a while your mind, body and bank account need some fun of the old-fashioned variety. So before you finalize the weekend plans with your boo, show your girls some love by organizing a Girls Night In, complete with good gossip, slumber party past times and even some chic party favors to sweeten the deal. And the best part about these sleepover staples? You’ll keep using them long after your friends head home. Who can remember the color of their wine charm? But your own name–that’s tough to forget even after a few bottles have been emptied. These reusable chalkboard wine glasses are perfect for vino with the girls, then dinner with your S.O. The best part of staying in is the sweatpants…just kidding! But being comfy definitely is. A soft and chic PJ set lets you lounge around in style. And if those pajamas are not covered in hearts or holiday hues, you can guiltlessly cozy up in them year round. Wine delivered to your doorstep? Yes, please. Club W takes your tastes in mind and suggests a few bottles to suit your profile every month. 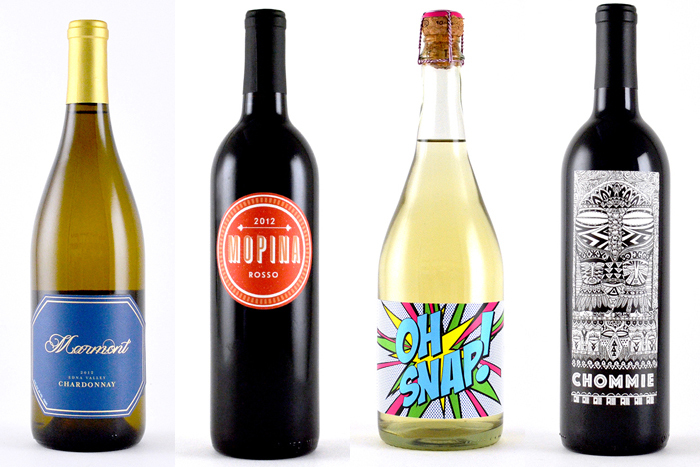 If your friends are like mine and can put back a couple bottles, this subscription service makes stocking your rack easier than ever. Growing up it was Barbies and a Ouija Board, but for a more adult spin on your Girls Night In game time, we suggest Internet favorite, Cards Against Humanity. It’s a little cheeky and you might learn a hilariously twisted thing or two about the inner workings of your leading ladies. Trade in the old avocado or mud masks for a chicer, but equally silly slumber party beauty ritual. Sheet masks take away the mess and leave you feeling so fresh and so clean (after a few dorky Instagram shots).